Our global operations are managed by a leadership team of athletes, scientists, storytellers and explorers. Hover over their images to learn more about us. Hanli is an inspired, passionate freediver and ocean advocate. She grew up on a horse farm outside Johannesburg where she at an early age learnt about the beauty, fragility and importance of wilderness. After studies and a career in documentary filmmaking in Sweden, Hanli decided to focus on her freediving and now holds eleven South African Freediving Records, and has over ten years competitive freediving experience. She is now following her true passion: ocean conservation. With her background in journalism and documentary filmmaking, Hanli travelled extensively telling stories of conflict, hope, injustice and change from some of the world’s most challenged communities. This led her to found the I AM WATER Ocean Conservation Trust in South Africa, which combines the two challenges that motivate her: social change and conservation. Having taught freediving to over 500 individuals, Hanli is a world-class instructor and coach with an unbridled love for sharing the ocean with others. She is also a sought after speaker and coach working with large corporate clients, sports teams and high profile individuals, Hanli has also participated in the prestigious TEDx forum and is one of the 2014 Young Global Leaders under the World Economic Forum. 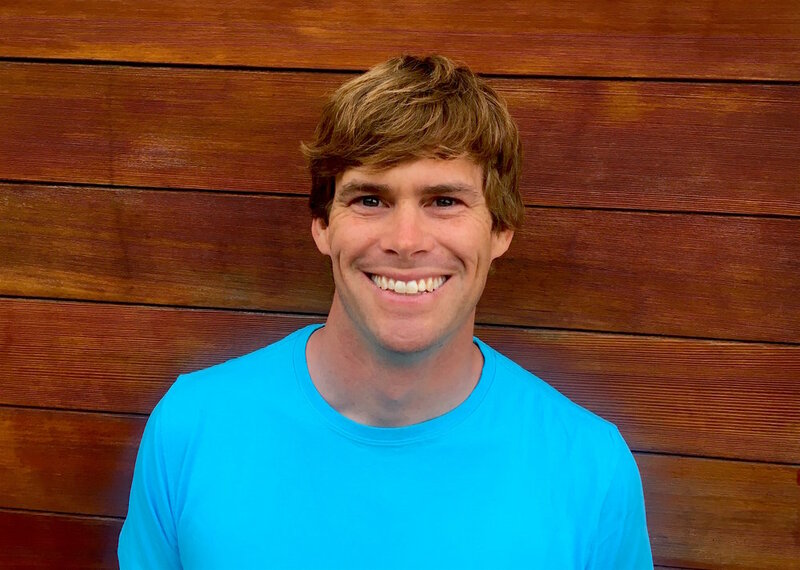 Peter Marshall is a world-class swimmer, ocean lifeguard, freediver, and underwater videographer with a heart to serve others. After graduating from Stanford University Economics Department, Peter chose to pursue his dream of swimming professionally. He rose to the top of the swimming world and had the privilege to travel to more than 25 countries. 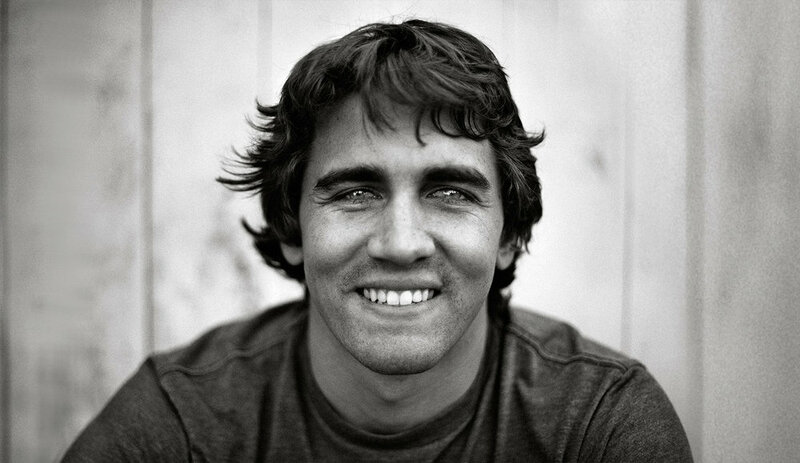 Peter is the current 50 meter backstroke world record holder (SCM) and in his seven years as a professional swimmer, Peter claimed 2 World Titles, 8 World Records, 11 American Records, and enjoyed 11 consecutive years of being a member of the USA National Swim Team. In 2011 Peter decided to retire from competitive swimming and began a journey of using his water skills to serve others. When the Los Angeles County Ocean Lifeguards offered a chance to serve the beach communities in LA, Peter jumped at the opportunity to use his skills as a swimmer to help prevent drownings in one of the USA’s biggest cities. As a densely populated coastal city, Los Angeles is in constant need of competent Ocean Lifeguards. On his first day guarding Peter saved 7 people, all youth from the inner-city. This led Peter to seeking out I AM WATER and getting involved in long-term solutions to ocean ignorance. Shireen grew up in the greater Cape Town area without ever setting foot in the ocean. As an administrative genius she spent time working as a banker before getting involved in assisting with non-profit management. It was only when she started with I AM WATER that she considered entering the ocean. Today she is an integral part of the I AM WATER team both in and out of the ocean. If there’s one question that keeps Lauren De Vos awake at night, it’s: “How do you make people fall in love with fish?” A deep reverence for wilderness drives her to find conservation solutions. Lauren has a background in understanding issues of human/wildlife conflict, as well as savanna ecology through the Organisation for Tropical Studies. Irrepressibly drawn to the ocean, she completed her MSc in Conservation Biology at UCT’s Marine Biology Research Centre. Since her first sunburnt days in the Stilbaai marine protected area, she’s been putting fish on film and has conducted in surveys all along the South African coast. Her passion lies in bridging the gap between science and the public, combining educational talks with writing, blogging and filming to translate the beauty of our wilderness heritage. She is committed to using her science and communication skills to bring our oceans “ashore” and believes that, when sound research is combined with passionate communication, conservation solutions can, and will, be effected. She is in the final year of her PHD at the University of Cape Town. In Cape Town alone we have over 30 trained I AM WATER Coaches who are equipped to run our ocean experience workshops. These ocean enthusiasts come from all different walks of life with one great thing in common - a love for our oceans and a heart for sharing it We could never do what we do without this fantastic team - be sure to read our BLOG to hear from their stories coming up! Jenifer specializes in business strategy, marketing and communications with a focus on creating, developing and helping grow companies and social enterprises around a range of social issues. Jenifer co-founded Motive, a social innovation company that works with organizations to model social impact into their business. Clients include: Morgan Stanley, Getty Images, Gap Inc., Old Navy, Friends of the Global Fight, and NYSE. Jenifer is also the co-founder of WHOLE WORLD Water, a social enterprise uniting the hospitality & tourism industry to raise money for clean and safe water projects globally. Prior, she led the (RED) organization founded by Bono and Bobby Shriver to fight AIDS in Africa by mobilizing private sector resources for the Global Fund to Fight AIDS, Tuberculosis and Malaria. In 2013 she was named one of the 10 Most Generous Marketing Geniuses by Catch a Fire’s Generosity Series featured in Fast Company and recognized as one of the 40 women to watch over 40. Jenifer is a NationSwell council member; is also on the boards of the Thankful Enterprise, The Cavendish Impact Foundation and a 92 Street Y Women in Power mentor. In the world of big wave surfing Greg Long is a gentle hero. With over 20 years of riding some of the worlds biggest waves and receiving acclaim for his skill and courage (XXL Global Big Wave Awards including Biggest Wave, Ride of the Year and Performer of the Year, Adventurer of the Year to name a few) Greg is now focusing his time and energy on raising awareness for the plight of the ocean he loves. Partnering with brands committed to ocean conservation and sharing his personal story, Greg is lending his voice to the outcry about the state of our planet. Nick is a clinical psychologist and neuropsychologist who researches and designs for innovation in the assessment of cognition and emotion, healthy cognitive aging and high-value care delivery. At Stanford University, he serves as a research scientist at the Clinical Excellence Research Center (CERC). In addition to publishing his research in top-tier journals, his work has been featured in The New York Times, National Public Radio, and U.S. News and World Report. Dr. Bott serves as the chief science officer of Neurotrack technologies, Inc., a Silicon Valley based startup using computer vision and digital behavior change to measure and monitor brain health and motivate individuals to lower their risk of cognitive decline and dementia through modifiable lifestyle behaviors. A native of St. Louis, Missouri, Dr. Bott earned a bachelor’s degree in International Relations from Stanford University, a PsyD in clinical psychology and neuropsychology from the PGSP-Stanford Consortium, and completed his postdoctoral fellowship in value-based healthcare design at the Stanford Clinical Excellence Research Center.With an interest in the effect wilderness has on humans, Nick is assisting the I AM WATER team in measuring the deep impact ocean experiences has on youth from challenging backgrounds and limited nature exposure. Silvia is a global philanthropy expert and senior advisor, with close to 20 years of experience working across the business, non-profit, international development and government sectors. Silvia works with Co-Impact, a global collaborative of some of the world’s leading philanthropists as Managing Director focusing on partnerships and strategy. She is the former Global Head of Philanthropy Advisory at UBS where she led an award winning team of specialists helping wealthy families realize their philanthropic aspirations. In that role, she created and developed the largest community of billionaire and UHNW philanthropists and social impact investors with over 400 members worldwide. Prior to joining UBS, she was an Associate Partner at the global strategy consulting firm Monitor Group focusing on social change and strategy. At the beginning of her career, Silvia held management roles at the Organization of American States, the International Secretariat of Amnesty International, and the Office of the President of Peru. Silvia graduated from the London School of Economics and Political Science with a B.Sc Government and Economics and holds a Master in Public Administration from Harvard Kennedy School. Originally from Lima, Peru, she has visited and worked in over 70 countries and across many oceans. The world may be divided by continents but we are united by oceans. As a fully non-profit organisation our work depends heavily on continued fiscal support. From private donors to institutional partners, every little (or big!) bit furthers the vision of oceans for all.